give your body and mind what it needs this sunday. and that’s a HATHA flow. 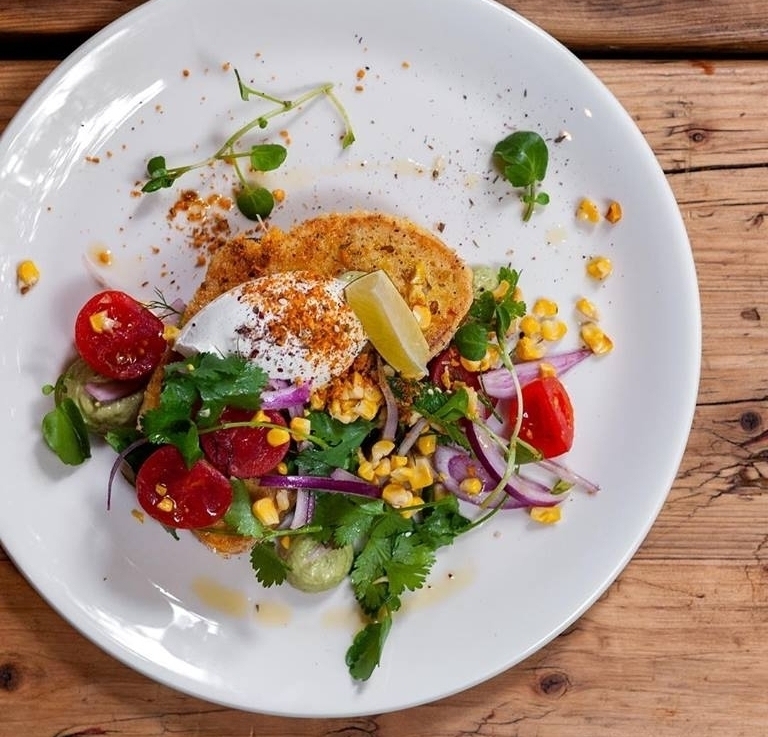 then grab a pencil and add silo to your brunch lust-list. it’s flat white-aussie-avo-brunch heaven. START: Yogibar - Yoga Studio, Boxhagener Str. 31, 10245 Berlin. FINISH: Silo Coffee, Gabriel-Max-Straße 4, 10245 Berlin. U/ S - BAHN: Samariterstraße. THE WORKOUT: Sunday 11am Hatha Yoga Flow in English. Yogibar is one of those elusive studios that delivers on yogic philosophy, challenging asana and a spiritual setting (think incense and calming music) and brings the old tradition of Hatha yoga into modern life. The Sunday morning seventy five minutes of Hatha Yoga in English is dynamic, powerful and meditative, all at the same time. Most importantly its a whole seventy five minutes of “you time”. Move through the usual sun salutations. These are mixed with flowing sequences of standing poses like Warrior I, II, Triangle, reverse Warrior and balances like Tree to refocus and ground. Expect a couple of high-powered plank and side plank variations to fire up the core, before bringing the breath down with restorative twists, a few back-bends and longer seated stretches. In every class the physical practise is different but the emphasis at all times is on posture alignment, sharpening mindfulness and co-ordinating back to the breath. It’s about you connecting back to you - don’t worry about anyone else. A real good Savasana (we’re talking five to ten minutes) and deep relaxation rounds-off every class. The studio has changing rooms, two separate rooms to run classes simultaneously, and in true “yoga” fashion they provide mats free of charge. THE FOOD: A quality brunch menu that speaks to your soul (and your stomach). Avocado on Sironi toast with beetroot, dukkah and lemon tahini, Baked eggs in tomato sauce with labneh and dukkah with Sironi’s bread, Pancakes with berries, maple syrup and Mascarpone, Quinoa Coconut Bircher Muesli and “Build your own breakfast eggs” with all the extras you could dream of… is your mouth watering yet? The Sironi Sourdough is the best bread we’ve eaten and makes everything taste even better. The baked eggs come bubbling in a tomato-saucey pan, accompanied by grilled slices of Sironi to dunk. Avocado is generously given, whether you order it as an extra of as a full Avo toast dish. A twist of middle-east with ingredients like dukkah, tahini and za’taar give each dish more depth and interest. The “Baked Pancake” is light and fluffy, with a good balance of sweet (syrup), sour (berries) and fresh (Mascarpone). Since its Sunday, we recommend ordering it as an extra little “dessert” dish to share. Plus the portions here are on the smaller side, which makes the prices a little too high for what you get, but still you know everything will taste delicious. As always, we need to talk about the coffee; some of Berlin’s finest Flat Whites are made here by some of the nicest people. Coffee connoisseurs will appreciate the serious roaster selection and brewing methods available too; think V60 drip, classic machine, french press. We didn’t think Silo could get much better, but we were proved wrong by the fact that they have boozey cocktails (bloody mary’s and mimosa’s) here too. 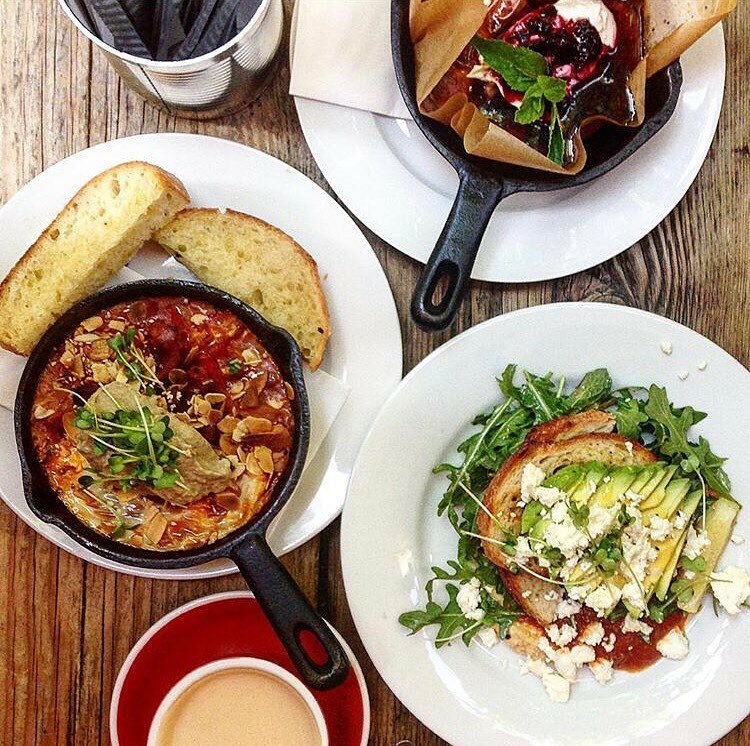 All-in-all, you’ll have a fabulous time here, so get out of the cold and inside this cosy, aussie cafe pronto. BEST FOR: Getting in some “me time” and redeeming Friedrichshain’s brunch rep with an epic one.